The French artist, a.k.a., Héloïse Letissier will play four dates later this year. Christine and The Queens has announced her return to the stage with four gigs planned later this year. The dates, which take place in Los Angeles, New York, London, and Paris, take place between October and December. Tickets for all dates will be available from March 26. The artwork for the short tour sees the majority of the French artist's name crossed out, suggesting she is now going as simply "Chris." 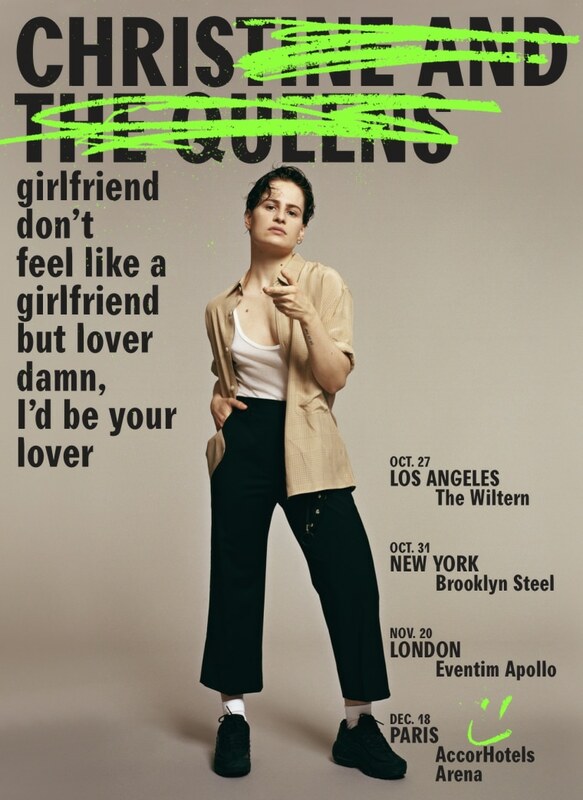 A press release announcing the shows does, however, refer to Christine and The Queens. Chaleur Humaine, the first Christine and The Queens album, was first released in 2014. Speaking in 2016, Héloïse Letissier said she was working on its "macho" follow up. "I just want to me a macho man on the next album, with macho man problems," she said at the time. Christine and The Queens is beyond human.